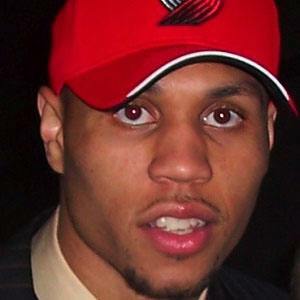 2007 NBA Rookie of the Year as a member of the Portland Trail Blazers; his career was interrupted by consistent knee troubles. He played 4 years for the Washington Huskies college basketball team, averaging over 20 points per game in his senior season. He was drafted by the Timberwolves in 2006 and traded to the Blazers, but as his career declined, he was traded back to the Timberwolves. He had two children with his wife Tiana Bardwel, whom he married in 2010. He became the second player in Trail Blazers history after Clyde Drexler to win the Western Conference Player of the Week award four separate times.